The Vertical laminator packs a large number of features into a compact footprint: Precise control of process speed and temperature combined with tight tolerance rollers provide utmost lamination quality. The modular design allows customization to your specific applications. All options can be field installed, providing flexibility in the initial specifications. The base is designed to provide lift cart access for ergonomic loading of heavy rolls and the rollers are cantilevered for easy threading. The unwind/rewind pair are PLC controlled with a touch screen user interface. Contact us today to learn more. Roller alignment Level and parallel to 0.003 in. Pre-heat roller Pre-heat material prior to lamination for better bond. 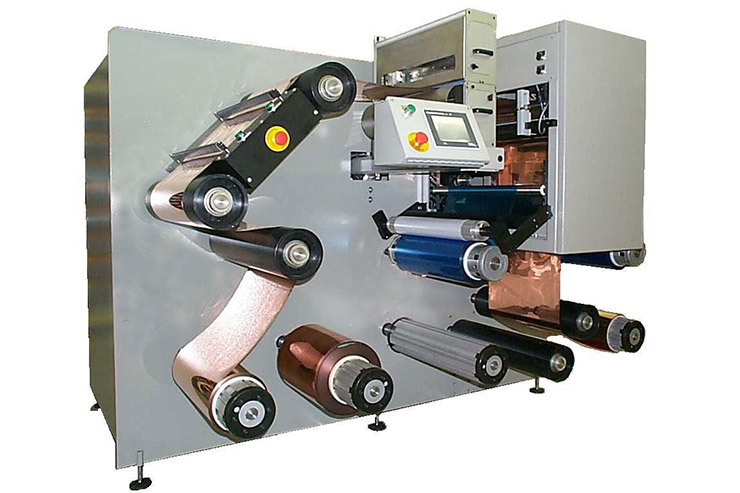 Viton coated lamination controllers Significantly increases lamination roller life. Dual material shaft and accumulation For uninterrupted material processing during roll change. 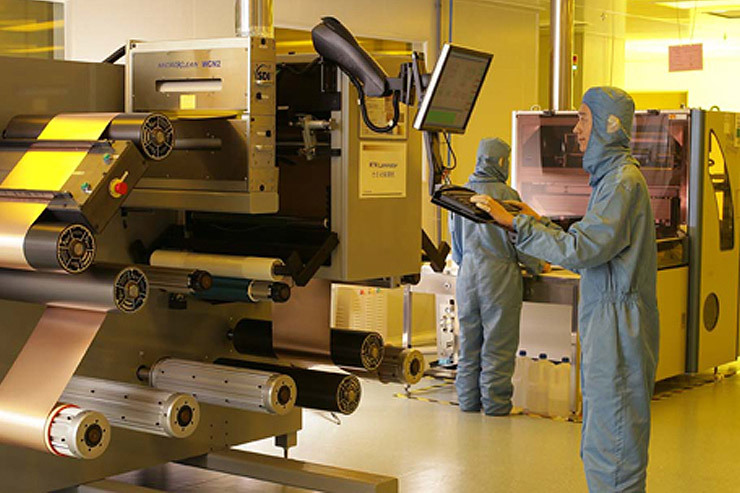 Inline inspection Verification of process parameters prior to upstream processing. Web cleaner Tacky roll, ultrasonic, etc. Laser alignment Entire process line aligned to 0.003 in.